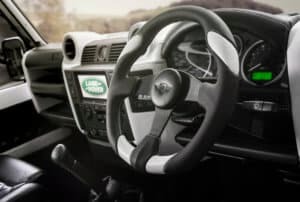 Ruskin Design Limited, specialists in bespoke handcrafted car upholstery, recently completed their first vegan friendly interior refit. 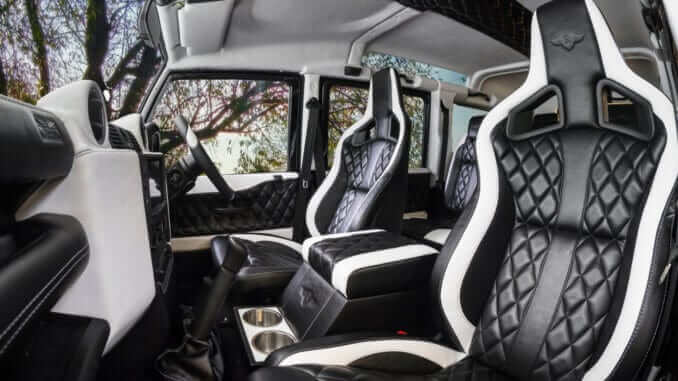 The Leicester based firm worked together with synthetic leather manufacturers Ultrafabrics, to create a completely vegan interior, commissioned by Bradley Keenan [LinkedIn login necessary]to design and fit a stylish interior to his Land Rover Defender 110. This project was the first of a kind for Ruskin Design, who say that they embraced the vegan concept for their client. Alternative materials and suppliers were sourced to ensure a truly ethical offering to vegan and vegetarian clients.